One custom-made 24 karat yellow gold and sterling silver ring. 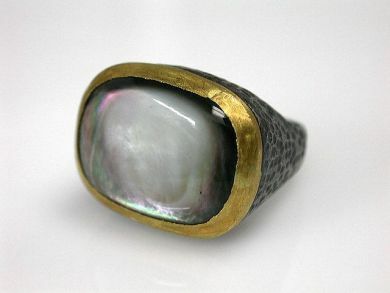 One oval cabochon mother of pearl. The ring has an oxidized silver hammered shank.